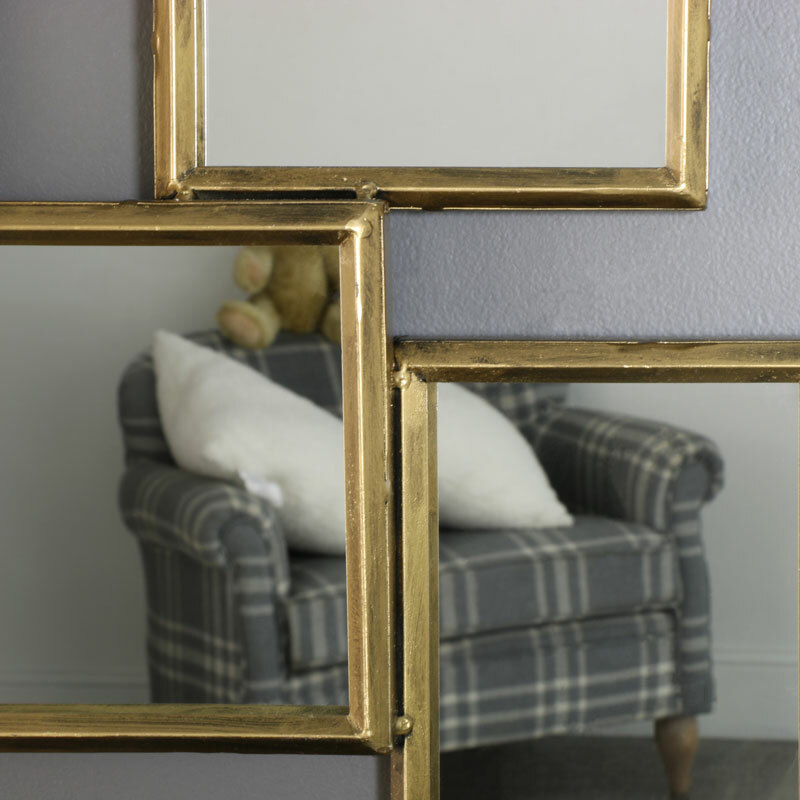 Add some meodern styling to your living room decor with this gold framed mirror. In a multi frame design with 8 rectangular mirrors in various sizes. This would be the perfect look for the living room or hallway. The multi frame design gives an abstract feel with a vintage appeal. A great look for any interior, this mirror will make a fantatic focal point. 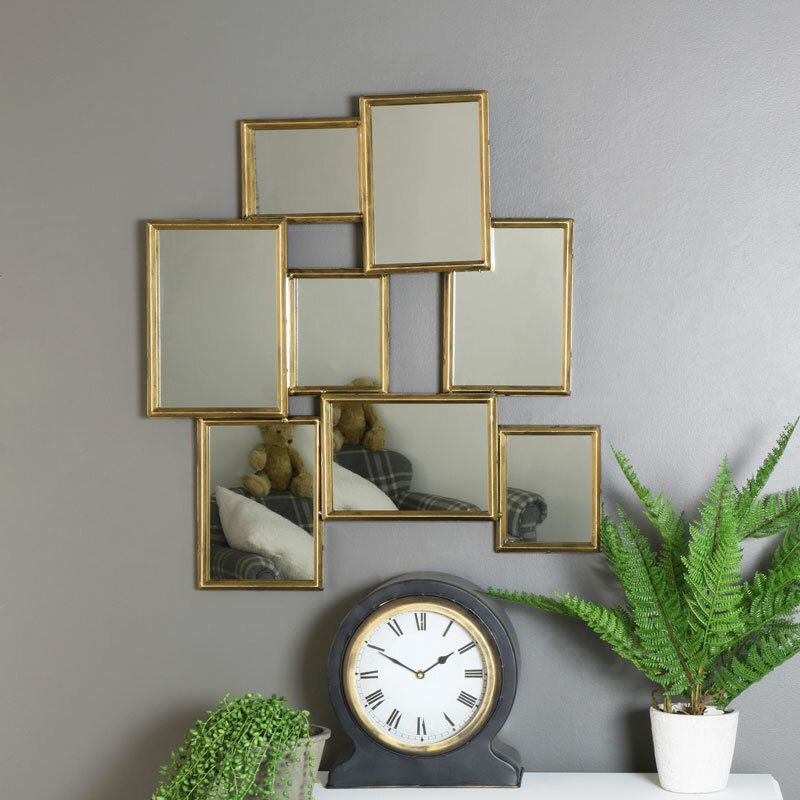 Add some meodern styling to your living room decor with this gold framed mirror. In a multi frame design with 8 rectangular mirrors in various sizes. This would be the perfect look for the living room or hallway. The multi frame design gives an abstract feel with a vintage appeal. A great look for any interior, this mirror will make a fantatic focal point. Gold metal frames in a multi aperture design. Easily wall mounted with a hook on the back for hanging. We have an extensive selection of mirrors with wall mounted, freestanding and tabletop designs to suit every decor and colour scheme.